Williamson County, also known as “Wilco” for short, a Texas county and home to a population of more than 545,412 residents as of 2016. The county is named after Robert McAlpin Williamson, a Supreme Court Justice of the Republic of Texas, a state legislator, Texas Ranger, and a veteran of the Battle of San Jacinto during the Texas Revolution. For years, Lyttle Law Firm has provided legal assistance to clients in Williamson County, offering representation in divorce cases, annulments, paternity suits, and complicated custody cases. Austin family law attorney Daniella Lyttle is a skilled and experienced in family law affairs, with a strong commitment towards paying attention to the unique needs of each client. With family law cases, you need a strong ally by your side when emotions run high and your finances and assets are at serious risk. If you are dealing with a family law matter in Wilco, we encourage you to call our offices before your case does irreparable damage to your relationships and financial health. Family law in Williamson County and the rest of Texas is composed of a body of statutes, provisions, and court decisions at the state and federal level involving family relationships, domestic relations, rights, parental duties, and finances. Divorce – When handled poorly, a botched divorce can wreak havoc on your family and relationships. The Lyttle Law Firm can help you with issues such as custody, child support, spousal support, and division of assets, increasing your chances of obtaining a favorable result. Child custody – Custody in Texas comes in two forms: conservatorship and physical custody. Daniella Lyttle can help clients in Williamson County understand the complexities of child custody, helping you create a plan that’s in the best interests of your child and family. Modification – Judgments such as final divorces and final parent-child relationship judgments can be modified through a “suit to modify,” which allows changes in conservatorship, access, possession, and child support. The court will usually extends this option when a parent needs to relocate, when the child needs additional support (as is the case in illness and emergencies), or when the child’s environment is unsafe. Family law cases can take a heavy a toll on your emotions, your relationships, as well as your finances. You can reduce the risk of these issues negatively affecting your quality of life by enlisting the services of a lawyer which experience in family law in Williamson County. Schedule a consultation with the family law attorney of the Lyttle Law Firm to sit down for a discussion of your case. 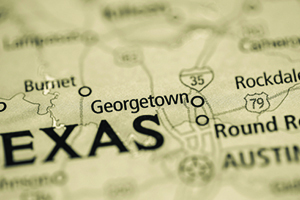 We have successfully represented clients in Williamson County, as well as Hays, Bastrop, Caldwell, and Travis Counties. Contact our offices at (512) 215-5225, or use our contact form to schedule your appointment.